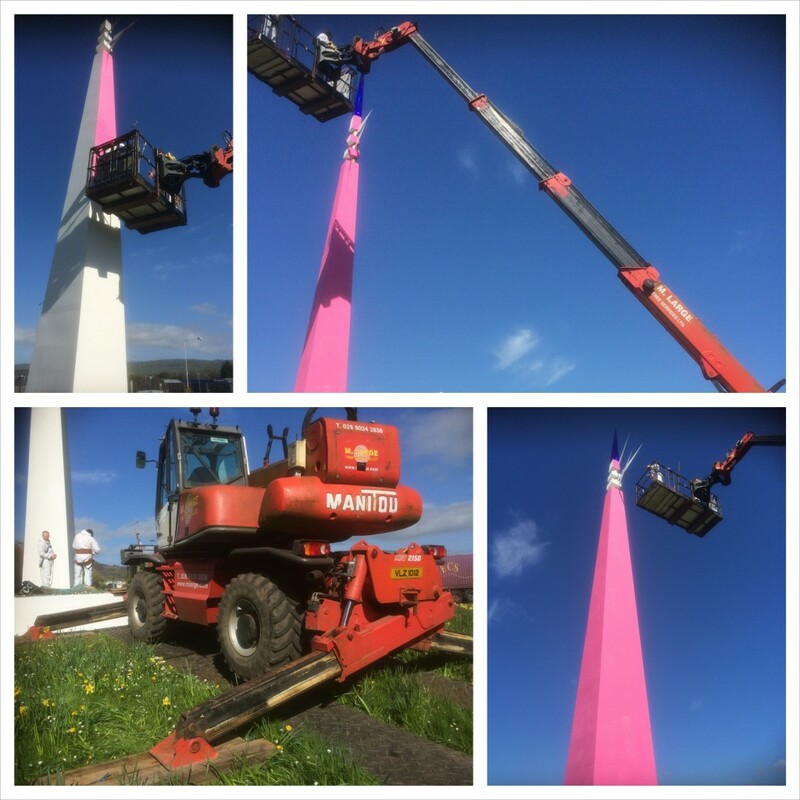 Anyone visiting our little corner of the world recently will have found it hard to miss the fun manner with which towns, businesses and tourist attractions have been welcoming the Giro D’Italia event ……..by painting the province pink! 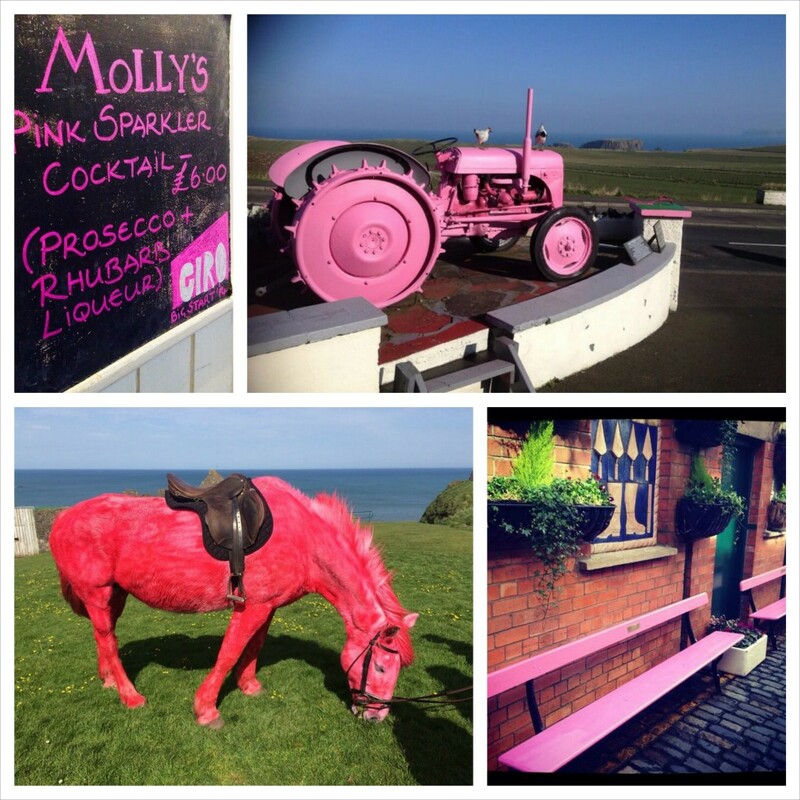 By now you’ll have seen pink sheep, pink horses, pink tractors, pink bicycles, themed pink cocktails, pink benches, and even pink-ified sculptures….cue M.Large. 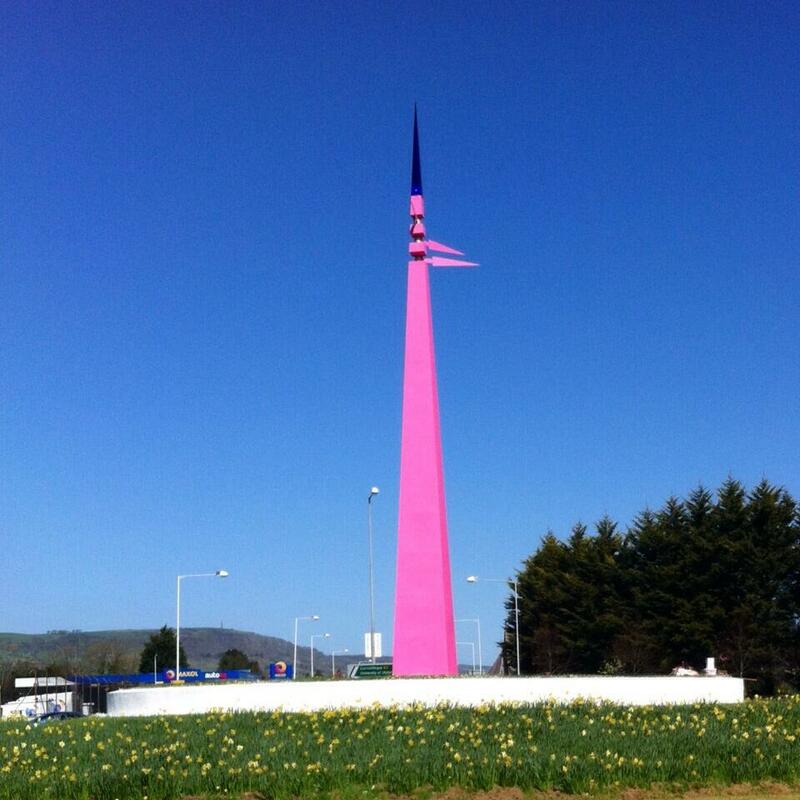 We were tasked by Newtownabbey Borough Council to give an event friendly look to the Whiteabbey roundabout Spiked sculpture…by painting it pink! The Manitou was driven onto the roundabout which is in full bloom with a ring of daffodils so in consultation with Newtownabbey Borough Council, we deployed grass guards and outriggers to minimise ground impact…you’d hardly know we’d been there! The main sculpture was painted a fetching shade of pink with the surrounding low wall getting a contrasting white coat. The job even featured in local media and on Twitter. This is just one of the fun and exciting examples of pink fever in honour of this prestigious cycling event performed on a global platform. Like it or not, the repainted Whiteabbey sculpture certainly shows the fun side of the area and the council and we’re proud to have played our part.